I have been on a crafting roll. 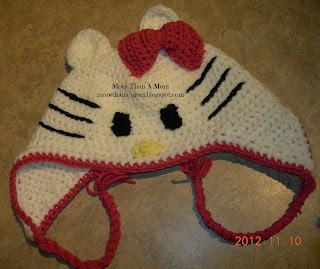 Friday I finished up this cute and easy Hello Kitty crochet hat for my dear daughter. 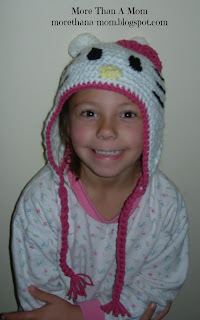 Now the boy is asking for a Batman hat (as well as each of the superheroes he can think of!!). Good thing I have a lot of yarn ;) The boy is so crazy about superheroes that I even created a Superhero Pinterest board for ideas. If you want a free pattern of this hat, check out Crochet In Color's free pattern.